Dog ownership brings with it many pleasures, not least of which is the chance to get out in the open air and keep fit. 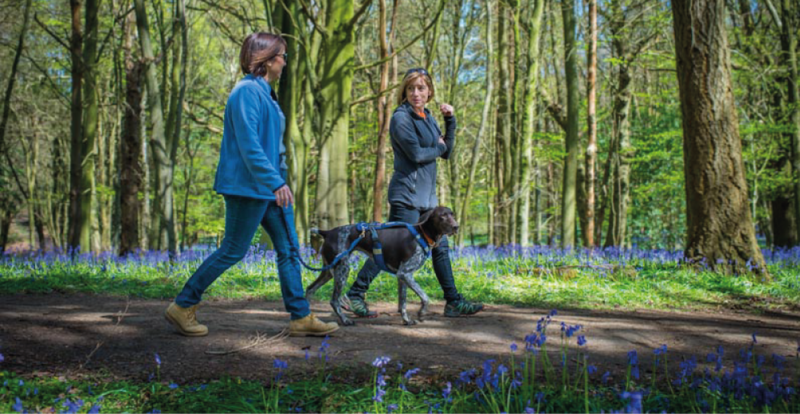 Exploring new areas, meeting new people, boosting vitamin D levels and getting fit and healthy are just some of the benefits of a daily walk or run with your canine buddy. They say that a healthy body ensures a healthy mind and having the responsibility to your dog to provide daily exercise will mean that you get out and about, no matter what your mood may be. There is clear evidence that the endorphins created by exercise lift spirits, reduce stress and help you maintain a healthy state of mind and a positive outlook. Scheduling an early morning session will also mean that you are motivated to get out of bed and begin your day, especially at the weekend or when you have no other reason to get going. 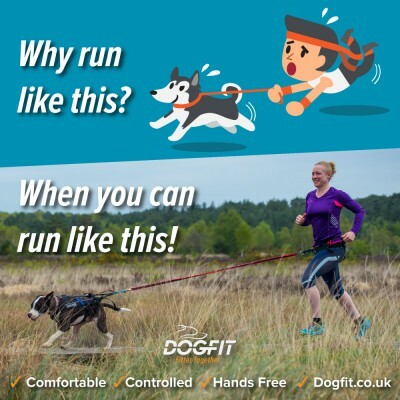 Run with your dog in balance and control. Your dog will enjoy being out with you, whatever pace you decide to set. So, if you are in the mood for an invigorating run, that’s great, but a leisurely stroll will also exercise you both and give you the chance to spend valuable time together. Even if you are just starting off doing regular walks, or need to take it slowly at first, your dog will simply appreciate being out with you and you can build up strength and speed as time goes on. Walk your dog hands free and in balance. 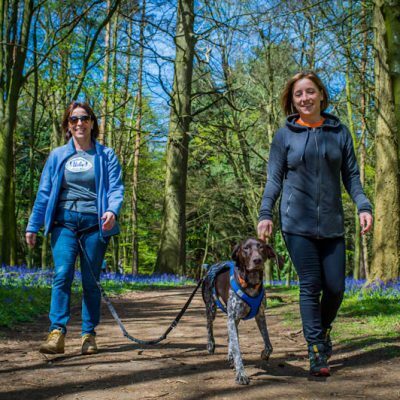 If you like to have your hands free while walking, don’t forget that the kit used in canicross can be used for walking with your dog just as easily as it can be for when you decide to run. The easily attachable lead will allow your dog to run ahead of you without getting too far away and you can use it to gently guide your dog into the right direction as you walk along. It also means that you can have your hands available to carry your water bottle or phone, or to help you keep your balance over any uneven ground. Another way that your dog can help keep you healthy is by acting as your running or walking partner as you set goals around your fitness levels, weight or overall body condition. You may be able to fool yourself that you don’t need to go to the gym after a hard day at work, but can you resist those longing eyes, hopefully wagging tail and the not-so-subtle glances towards the front door? Combining dog walking with canicross means that you can set goals very easily, building up from basic ones, such as walking a certain number of miles in a week to more ambitious events such as entering a canicross friendly race. We have a list of such events on our website here.